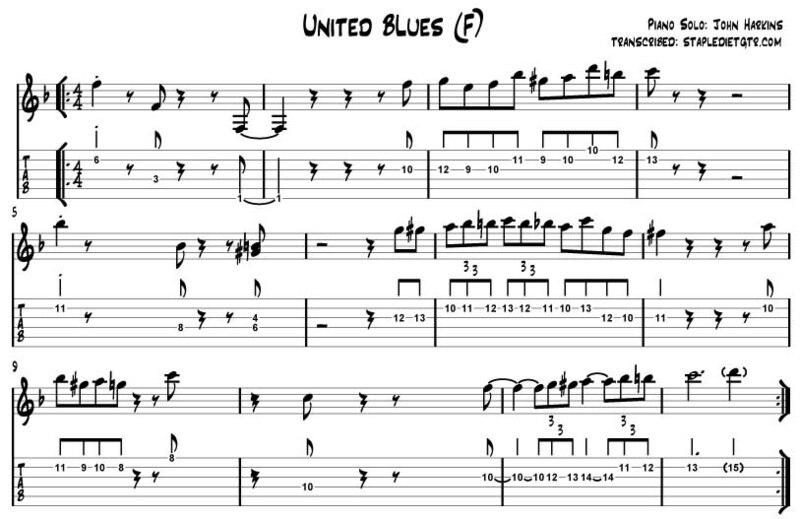 United Blues is a great track found on the “Stay Right With It” album of Australian Bass player, Brendan Clarke. It is a F blues. I believe this is a Ron Carter composition. The track swings with great energy. In particular i really love the piano improv and thought i’d would be great to transcribe a few choruses. The pianist is John Harkins. Wonderful playing. Here’s the head. Double click on the notation to enlarge. This entry was posted on Wednesday, June 25th, 2008 at 4:59 pm	and is filed under jazz guitar. You can follow any responses to this entry through the RSS 2.0 feed. You can leave a response, or trackback from your own site.